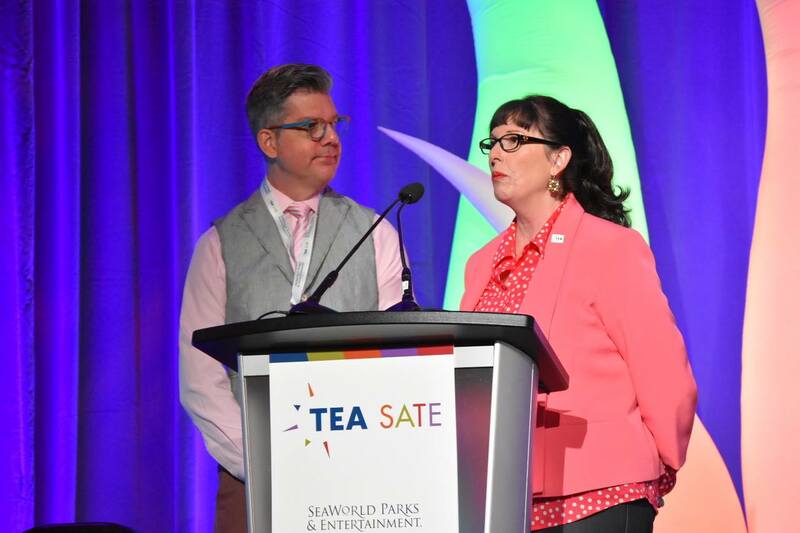 More than 500 industry members attended TEA SATE Orlando - SeaWorld, Oct 4-5 2018, organized by the Themed Entertainment Association (TEA). Photo at top: TEA SATE Orlando - SeaWorld co-chairs John Paul Geurts and Bettina Buckley. Photos for TEA by Martin Palicki. 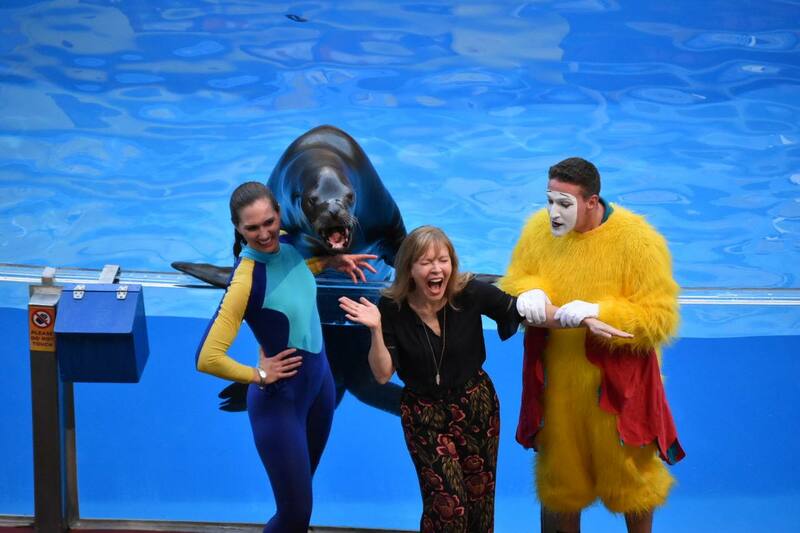 finds herself between a seal and a clownbird. There were two full days of sessions and discussion related to Experience Design and the SATE segments: Storytelling + Architecture + Technology = Experience. 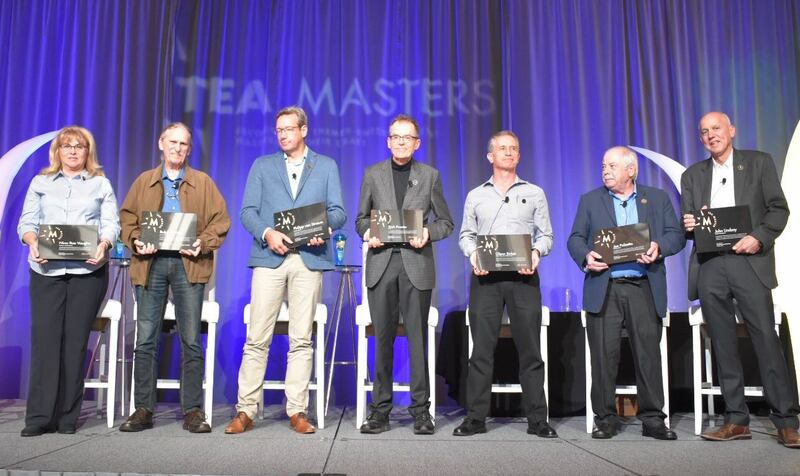 SATE Orlando - SeaWorld also provided the occasion to roll out the inaugural TEA Masters awards, celebrating individual accomplishments in specific disciplines to the industry. 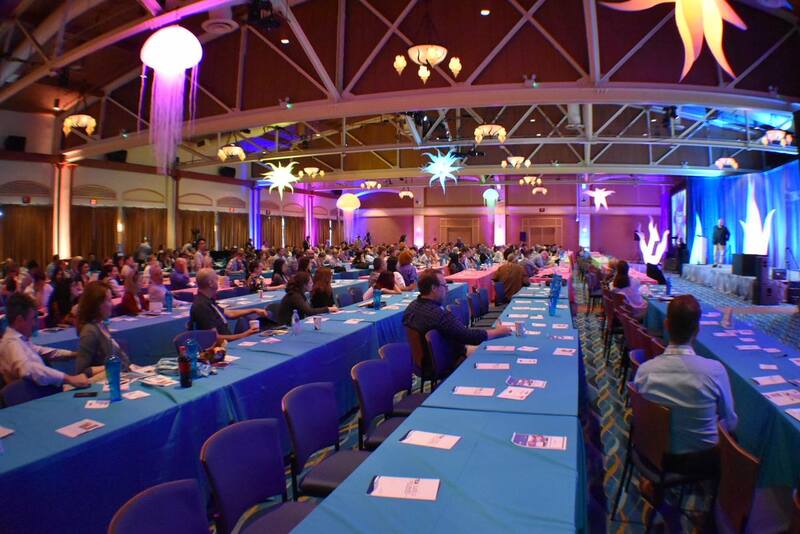 Click here to learn more about SATE Orlando - SeaWorld overall, including sessions, speakers and program. 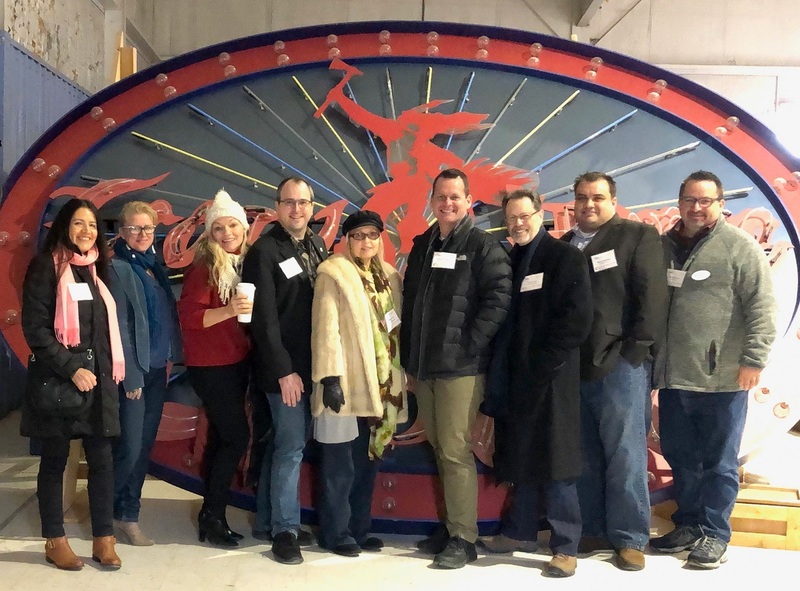 TEA SATE conferences are also invaluable opportunities to network, and with this iteration of the conference being at SeaWorld, there were also great opportunities to enjoy attractions at the park itself while mingling with colleagues. Many thanks to all who helped make this conference a resounding success - organizers, sponsors, speakers, delegates, volunteers and TEA staff! Media coverage of the event includes a story in the Orlando Sentinel and a report from Blooloop as well as an item in Park World and stories by InPark. All SATE sessions are video-recorded by TEA and the videos will be released on TEA TV in the near future as well. Please visit the official TEA photo albums representing all sessions, events and speakers: Day One and Day Two. 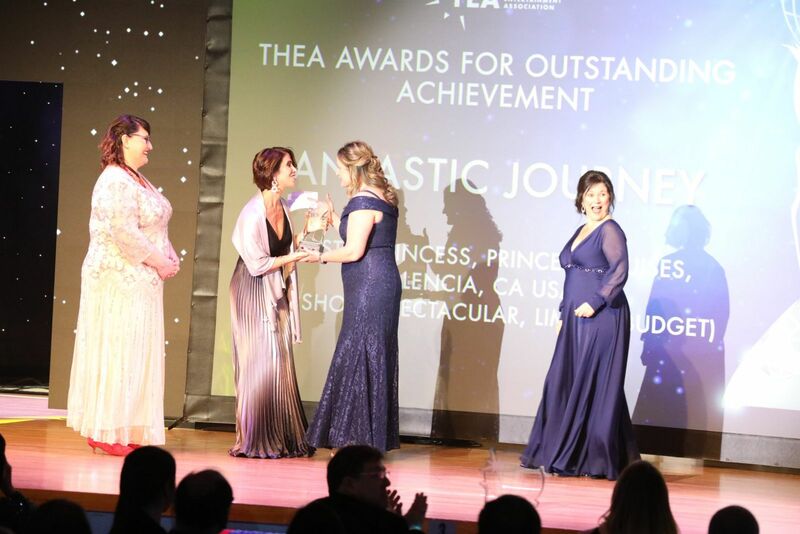 Reflecting that the attractions industry is experiencing dramatic, rapid growth in Asia, the next TEA SATE conference takes place Oct 25-28, 2018 at Chimelong in Guangzhou, China. 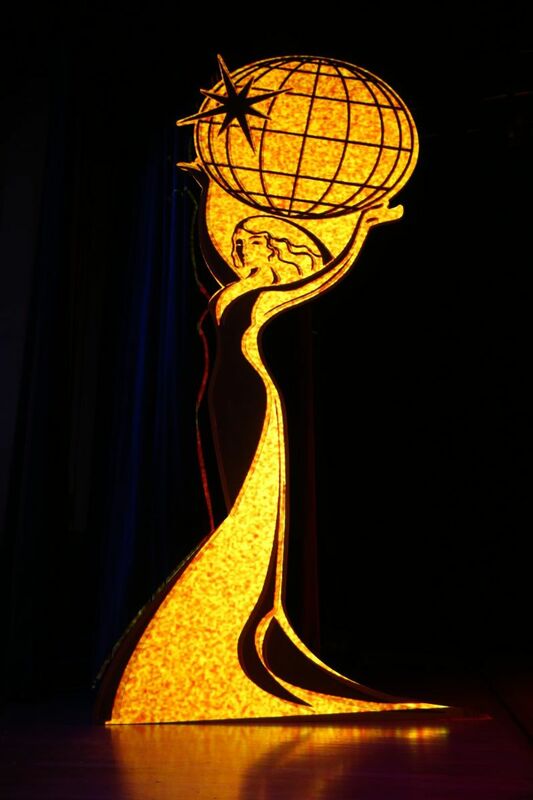 Click here for more information on TEA SATE Asia - Chimelong and to purchase tickets. For more information about TEA SATE in general, visit the official SATE blog. To see video of sessions from past TEA SATE conferences, click here.